Learn all about resizing images for print with Photoshop! You'll learn how print size works, how (and when) to enlarge your photos, how to resize for different frame sizes, and how to get the highest quality prints every time! 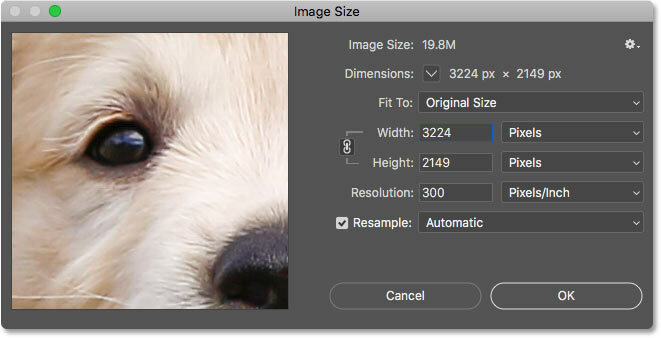 In this tutorial, the third in my series on image size, I'll show you how easy it is to resize an image for print with Photoshop! Resizing for print is different from resizing for the web or for screen viewing. That's because there's often no need to change the number of pixels in the image. Most of today's digital cameras capture images that are already large enough to print at standard frame sizes, like 8 x 10 or 11 x 14, and get great results. So rather than changing the number of pixels, all we need to do is change the print size. And as we'll see, we change the print size just by changing the photo's resolution. I'll cover what resolution is, and how much of it you need for high quality prints, in this tutorial. If you do need to print the image at a larger size, then you'll need to enlarge it by adding more pixels. Also, if you want to fit your image to a frame size that doesn't match the aspect ratio of the photo, you'll first need to crop the image before resizing it. I'll be covering both of these topics as well. This is lesson 3 in my Image Resizing series. Let's get started! 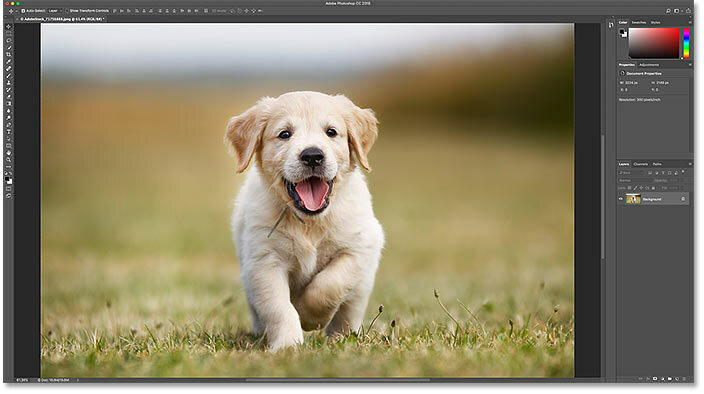 The first thing you'll want to do is increase the size of the preview window, and you can do that by making the Image Size dialog box larger. Just drag the dialog box into the upper left of the screen, and then drag its bottom right corner outward. 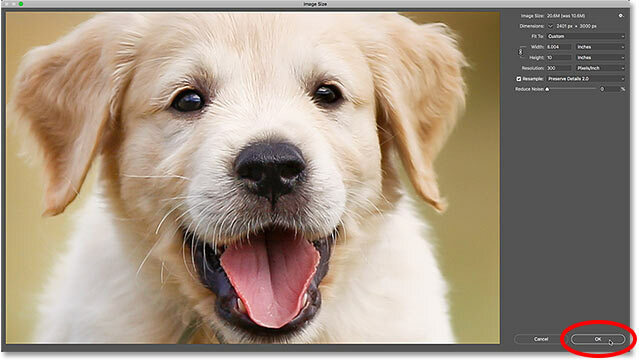 Resizing the dialog box for a larger image preview. The current image size is displayed at the top. Before we look at how to resize the image for print, we first need to know the important difference between resizing an image and resampling it. Resizing means that we're not changing the number of pixels in the image. All we're doing is changing the size that the image will print. We control the print size not by changing the number of pixels but by changing the image resolution. I covered image size and resolution in the first tutorial in this series, but we'll look at it again in a moment. Resampling means that we're changing the number of pixels. Adding more pixels is known as upsampling, and throwing pixels away is called downsampling. Downsampling is used when you're reducing the size of an image, whether it's for email, for uploading to the web, or for general screen viewing. But you won't need to downsample an image for print. You may need to upsample it, though, if the current pixel dimensions are too small to print it at the size you need. I'll show you how to upsample the image a bit later. Turning the Resample option off. Where is the current print size? The current width, height and resolution. The width and height are pretty straightforward. But what is resolution? Resolution is the number of pixels in your image that will print in one linear inch of paper. 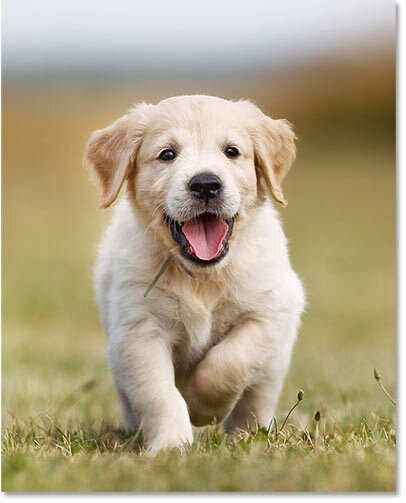 Since the image has a limited number of pixels, the more pixels you print per inch, the smaller the image will print. And likewise, printing fewer pixels per inch will give you a larger print size. Since we're not changing the number of pixels in the image, changing the resolution has no effect on the file size or on how the image looks on screen. Resolution only applies to print. The Resolution value is for both the width and the height. How does resolution affect the print size? The current image width, in pixels. The pixel width, divided by the resolution, gives us the print width. The current image height, in pixels. The pixel height, divided by the resolution, gives us the print height. How much resolution do you need for high quality prints? Now that we know how resolution affects the print size, the real question becomes, how much resolution do we need for the print to look good? I'll answer that one question with three different answers. First, I'll tell you the official answer. Then, I'll explain why many people think the official answer is nonsense. And finally, I'll share what I consider to be the best answer and the one I agree with. First, the official answer. 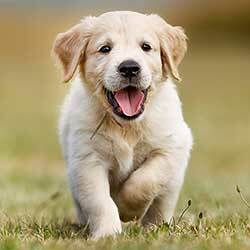 The long-held industry standard for high quality printing is a resolution of 300 pixels/inch. This means you need at least 300 pixels per inch if you want your image to look crisp and sharp with lots of detail when printed. There's nothing wrong with this standard, and printing at 300 pixels/inch will definitely give you great results. But there's a couple of arguments against the industry standard resolution. The first is that it only considers pixel count as a factor in print quality. It doesn't take other important factors, like viewing distance, into consideration. Generally speaking, the larger the print, the farther away people view it. You may hold a 4" x 6" print up close, but you're more likely to stand a few feet back from a 24" x 36" or 30" x 40" poster. 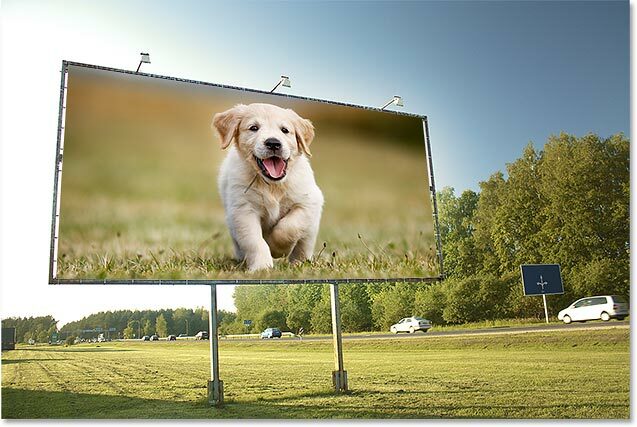 And a billboard off the highway is usually viewed from hundreds of feet away. Resolution becomes less important as you move farther from the image. Another argument against the industry standard is that while 300 pixels/inch will give you the highest print quality possible, it raises a question. Do you really need the highest quality? Or, is there a lower resolution that's "good enough"? Many professional photographers settle on 240 pixels/inch as being the sweet spot for resolution. Sure, a 300 pixels/inch print will look slightly better in a side-by-side comparison. But 240 pixels/inch still produces a sharp and detailed image that most people would be perfectly happy with. And by not having to upscale the image to 300 pixels/inch, the file size remains smaller. While the arguments against the industry standard resolution of 300 pixels/inch are strong, they leave out one very important detail. In fact, it's such an important detail that it tends to make the arguments against the industry standard rather pointless. The fact is, your printer has its own native print resolution. And it expects to receive your images at this native resolution. Most printers have a native resolution of 300 pixels/inch, which matches the industry standard. If you send the printer an image with a lower resolution, like 240 pixels/inch, the printer will automatically upsample it to its native resolution for you. In other words, it's simply not possible to print an image at anything less than your printer's native resolution. If you don't enlarge the image, your printer will. 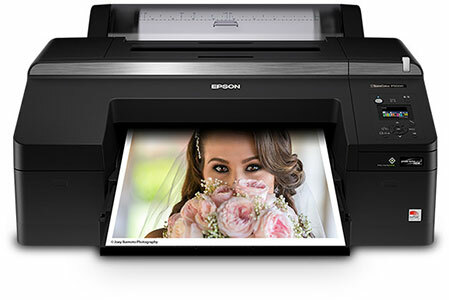 Epson printers, like my Epson Stylus Pro 3880, use an even higher native resolution of 360 pixels/inch. So with Epson printers, any resolutions lower than 360 will automatically be upsampled to 360. Other printer manufacturers (Canon, HP, etc) stick to 300. So what does all of this mean? What's the correct resolution for high quality prints? The answer, for most inkjet printers, is 300 pixels/inch. That's the printer's native resolution. For Epson printers, it's 360 pixels/inch. Anything less and your printer will upsample the image anyway. But Photoshop can do a better job of upsampling than your printer can. 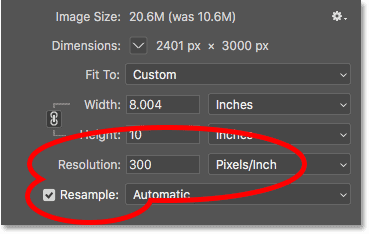 So if your image's resolution drops below 300 pixels/inch, you'll want to upsample it in the Image Size dialog box before sending it off to print. The best resolution is your printer's native resolution. Is there such a thing as too much resolution? What if your image resolution is higher than your printer's native resolution? Do you need to downsample the image to make it smaller? No, you don't. It's perfectly okay to send the printer more pixels than it needs, and it will help to make sure your image looks as sharp as it possibly can. So now that we know how image resolution affects print size, and the minimum resolution we need for high quality prints, let's look at how to change the print size. To change it, with the Resample option turned off, just enter the new print size into the Width and Height fields. Since the Width and Height are linked together, changing one will automatically change the other. Note, though, that you'll only be able to enter a size that matches the current aspect ratio of the image. So for example, if your image uses a 4 x 6 aspect ratio, as mine does, you won't be able to print it as an 8 x 10. The aspect ratios don't match. To print the image to a different aspect ratio, you'll first need to crop it, and I'll show you how to do that later. Along with the aspect ratio, you'll also want to be aware of the orientation of your image. 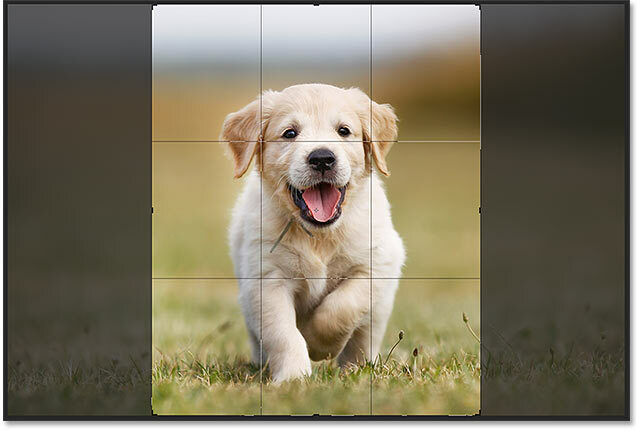 If the image is in portrait orientation, where the width is smaller than the height, then you'll want to set the width to the smaller of the two values. And if it's in landscape mode, where the width is larger than the height, set the width to the larger value. Entering a Width value automatically sets the Height value. Changing the Height automatically changes the Width. Lowering the width and height raised the resolution. The print size has no effect on anything else. Increasing the width and height dropped the resolution below 300 ppi. Going back to what we learned earlier, some people would say that any resolution over 240 pixels/inch is fine, and so our new resolution of roughly 268 ppi is okay. But, since your printer's native resolution is 300 ppi (or 360 ppi for Epson printers), and the printer will upsample the image on its own if we don't do it ourselves, there's no reason for us not to upsample it here in the Image Size dialog box. Doing so will give us better results than if we left it up to the printer. Changing the resolution had no effect on the width and height. What has changed this time is the actual size of the image, both in pixels and in megabytes. With Resample turned on, increasing the resolution forced Photoshop to add more pixels. If you remember, my image was originally 3224 px wide and 2149 px tall. But after resampling it, the width has increased to 3601 px and the height is now up to 2400 px. Upsampling the image increased the pixel dimensions and the file size. Whenever we resample an image, Photoshop adds or removes pixels. And the method it uses to do that is known as the interpolation method. There are several interpolation methods to choose from, and the differences between them can have a big impact on the quality of the image. The Interpolation option. Only available when Resample is checked. Learning how each one works would take an entire lesson on its own. But luckily, you don't really need to know anything about them. By default, the Interpolation option is set to Automatic, which lets Photoshop choose the one that will work best. Leaving it set to Automatic is a safe choice. In CC 2018, choose Preserve Details 2.0 when upsampling an image. 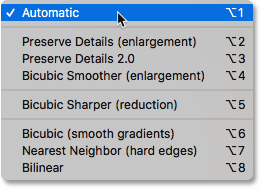 If you're not seeing Preserve Details 2.0 in the list, you'll first need to enable it in Photoshop's Preferences. I cover how to do that, and why it's the best choice, in my Best Way to Enlarge Images in CC 2018 tutorial. Before we continue and look at how to resize an image to a different aspect ratio, let's quickly summarize what we've learned. 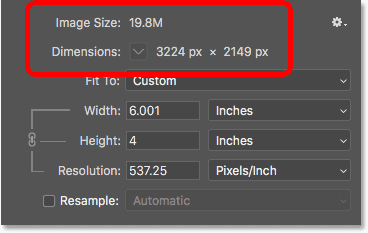 To resize an image for print, open the Image Size dialog box (Image > Image Size) and start by turning the Resample option off. Enter the size you need into the Width and Height fields, and then check the Resolution value. If the resolution is the same, or higher, than your printer's native resolution (300 ppi for most printers, or 360 ppi for Epson printers), then there's nothing more you need to do. 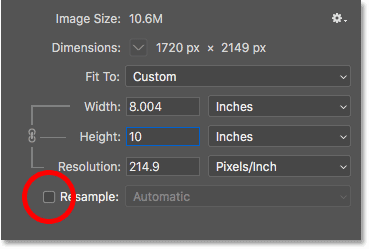 If the resolution is less than your printer's native resolution, upsample the image by turning the Resample option on. Then set the Resolution value to 300 pixels/inch (or 360 for Epson printers). Leave the Interpolation method set to Automatic, or in Photoshop CC 2018 (or later), change it to Preserve Details 2.0. Earlier, I mentioned that you can only choose a print size that matches the current aspect ratio of the image. But what if you need a different aspect ratio? For example, what if I need to print my 4 x 6 image so that it will fit within an 8" x 10" photo frame? Setting the height gives me the wrong width. Changing the width gives me the wrong height. No matter what I do, I can’t get the size I need. To resize the image to print at a different aspect ratio, we first need to crop the image to the new ratio. Here's how to do it. Canceling and closing the Image Size command. Entering the new aspect ratio in the Options Bar. Cropping the image to the new aspect ratio. The cropped version of the image. Uncheck the Resample option, and then enter your new print size into the Width and Height fields. This time, I have no trouble choosing an 8" by 10" size, although the Width value is just slightly off at 8.004 inches. Still close enough. Turn Resample off, enter the new Width and Height, and then check the Resolution. Turning on Resample, then setting the Resolution to 300 ppi. And there we have it! 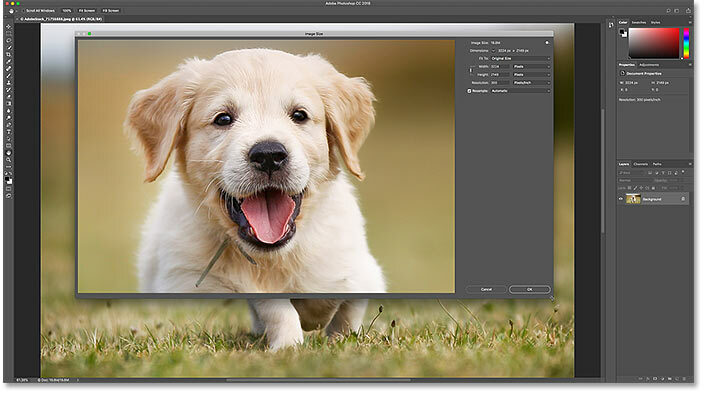 That's everything you need to know to resize images for print in Photoshop! In the next lesson in this series, we'll learn how to resize images for email and sharing online!